If you already wear prescription glasses you might be interested in a new set of smart glasses which have been created by Vue based in San Francisco. The Vue smart glasses have already raised over $1.2 million thanks to over 6,000 backers via the Kickstarter crowdfunding website. The unique smart glasses look just like a traditional pair of prescription eyewear but are equipped with a wide range of features that allow you to track activity, make calls, use gesture control, listen to music and more. Watch the promotional video below to learn more about the Vue Smart Glasses which are available on Kickstarter with pledges starting from just $179 and comes supplied complete with your prescription or tinted lenses depending on your requirements. At a basic level, Vue functions as glasses, meaning you will be able to order the lenses you depend on, whether they are prescription, non-corrective (plano), or sunglasses. 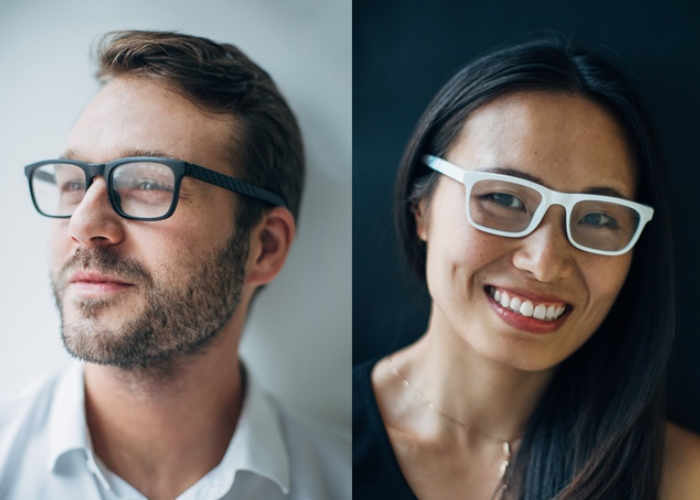 Vue frames come with integrated technology, meaning your glasses will be able to do more than meets the eye. Look great in your pair of Vue frames. Choose from a variety of different colors, textures, and shapes to help you express your own unique style. We’re partnering with an FDA-certified lens manufacturer to provide you with the lenses you need. You’ll have the choice of prescription (including progressive), photochromic transition, polarized, and prescription polarized lenses. We’ve all been there—sometimes the universe just swallows up our glasses. With the Find My Glasses feature, you can relax knowing that you’ll be able to find your frames again. Vue uses bone conduction audio technology to transfer stereo sound to your inner ear without the use of earbuds. Your ears remain unplugged, so you can listen to music, answer calls, and hear notifications all from your glasses while still being able to hear the world around you. For more information on the new Vuw Smart Glasses jump over to the Kickstarter website for full specifications and to make a pledge via the link below.